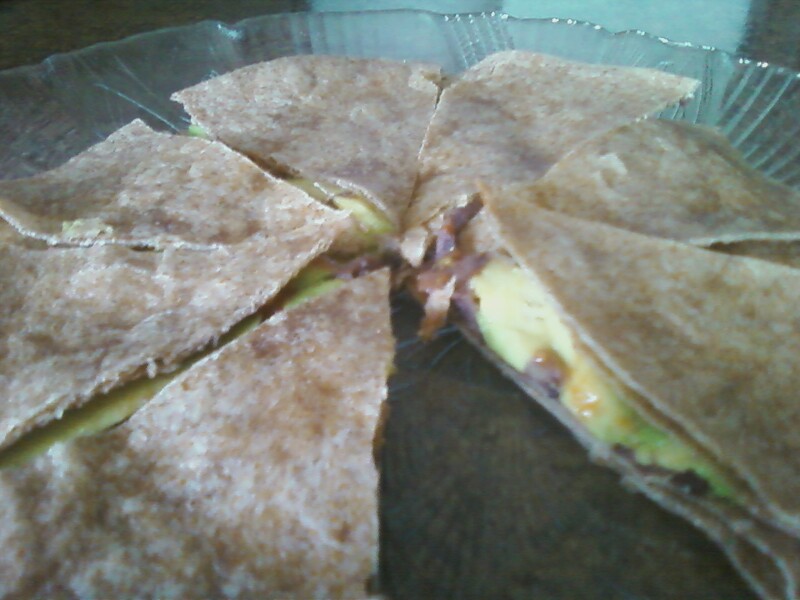 Today I give you: quesadillas sans queso! Starring- leftover veggie refried black beans, a small avocado that fell through the cracks and a few other magical ingredients. Here's what I used but feel free to play with the ingredients and get creative. Salsa would be great, as would some sliced olives or chopped cilantro (none of which we had). You can clean out your fridge too! 1. Spoon on and spread the refried beans, covering one of the tortillas. Place the sliced avocados on top and then sprinkle these with hot sauce, lime juice and garlic powder. 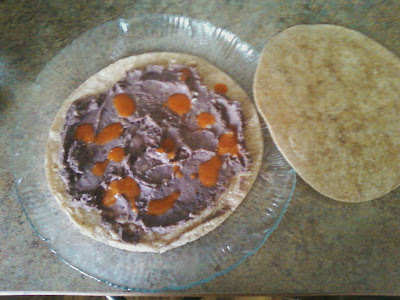 Before adding the avocado, lime juice and garlic powder (apparently I can't follow the order of my own instructions). 2. Microwave for about 20-30 seconds, until heated through.